Published: Jan. 29, 2015 at 05:12 p.m. Updated: Feb. 1, 2015 at 03:08 p.m.
" 44 LADIES, THAT'S ME! The Madden Bowl XXI party at the Live Wire in Scottsdale had a great half-outdoor venue and a perfect hook -- NFL stars playing each other in Madden for the right to keep a trophy in their cousin's garage for 12 months. But it rained. Who knew it rained in Arizona? Genuinely surprising development. As a result of the steady precipitation, LeSean McCoy and Patrick Peterson -- the two finalists in the tournament -- squared off in front of a sparse crowd with most of the attendees under cover at the indoor bar. If event host Kevin Hart thought The Wedding Ringer was a disappointment, I can't imagine how he handled Mother Nature's cruel left hook. Still, Hart was game, as were co-emcees Michelle Beadle of ESPN and NFL Media's own Adam Rank, who did a fine job calling play-by-play. As I entered the venue, Rank blared over the PA, his voice and tone eerily familiar to Jim Nantz at the Masters. When I chatted with Rank a few minutes later, I applauded him for treating an event featuring millionaires playing video games with the gravitas it deserved. "I'm attempting to channel the professional that Jim Nantz is," Rank explained. "I'm trying to bring that class and dignity to this esteemed event that they were kind enough to let me be a part of." McCoy entered the finals against Peterson as the defending champ and a heavy favorite. Rank said before kickoff that "it would be an epic, Super Bowl III-type upset for McCoy not to prevail in this one." On this rainy night in the desert, Shady was enveloped by the ghosts of the Baltimore Colts. Peterson slow-played McCoy in the first half, using up much of the first two quarters on his opening drive. (Madden organizers mercifully opted for three-minute periods to keep things moving.) Peterson's ball-control approach clearly took McCoy out of his game. Shady's flustered reaction to early adversity recalled memories of the Broncos in last year's Super Bowl. The final score was 17-0, with hometown hero Peterson hoisting his first Madden cup. I'd tell you it was emotional, but by this point the rain had intensified and I'd high-tailed it to the bar. Lil Jon soon started up his DJ set and I felt 23 again. Von Miller and I made awkward eye contact. There was talk of a surprise Marshawn Lynch cameo. Super agent Drew Rosenhaus led McCoy toward the exit with his arm draped around the vanquished phenom. I'd say he was consoling a stunned ex-champion, but it's more likely Rosenhaus was acting as a human umbrella. Everybody knows you never let the golden ticket get wet. Peterson and Shady in finals. Katy Perry took the stage at the Phoenix Convention Center on Thursday dressed as a cheerleader. Maybe. It was hard to tell. Many of Katy Perry's costumes confuse me. But she definitely looked like Katy Perry. The pop star then offered a key difference between her upcoming Super Bowl XLIX halftime performance and the most recent game played by the AFC champion Patriots. "I can assure you that nothing in my performance will be deflated." Perry's preparation for this show has spanned months and she's been involved with every aspect of the process -- from the music, to the costumes, to the color of the diamonds on her heels. She said there will be female empowerment elements of the show with a special guest. She teased that a lion and a shark will be involved. We imagine this perked the ears of PETA. When an entertainment journalist asked if there was a player Perry might have her eye on during the game, Perry swatted away the question with a response that had been planned since Tuesday. Perry explained she was friends with Russell Wilson, and will be rooting for the Seahawks for that reason. She said she asked Wilson on the phone what kind of healthy foods she should eat to prep for her performance. He told her to eat cheeseburgers and pizza, which is kind of crappy advice to give to a friend. » I think it's safe to say Perry is not a monster NFL fan. Sample dialogue: "Gronkowski? Who's that?" » Idina Menzel will serve as Perry's opening act Sunday when she sings the "Star-Spangled Banner." She opened this presser, too, answering questions for a few minutes. She's feisty. Best line: "I'm a New Yorker, and I cannot, in good faith, root for the Patriots." » In what's become an inevitable question to female artists at these gatherings, Perry was asked how she would plan to avoid a wardrobe malfunction. Perry answered the question in a surprisingly serious manner. "I can only control myself. ... My objective here is for people to be talking about the music the next day." » Bruno Mars may be a compact man with interesting hair, but he drew probably half the crowd Perry did. » The weird guys with the puppets from Media Day returned here. Shouting out nonsense in a couple of moments and drawing the disapproval of NFL PR honcho Brian McCarthy, I privately wondered if they would be in trouble when the show ended. It didn't take long before I had my answer. » I had hoped to ask Perry her thoughts about a comment by Seahawks defensive end Michael Bennett, who said on Media Day that he'd like to see a hip hop act headline the halftime show. Seeing as a hip hop act has never headlined the event, and that Perry has collaborated on hugely popular singles with both Kanye West and Snoop Dogg, this felt like a relevant question. Instead, Kevin Frazier got to take a selfie. 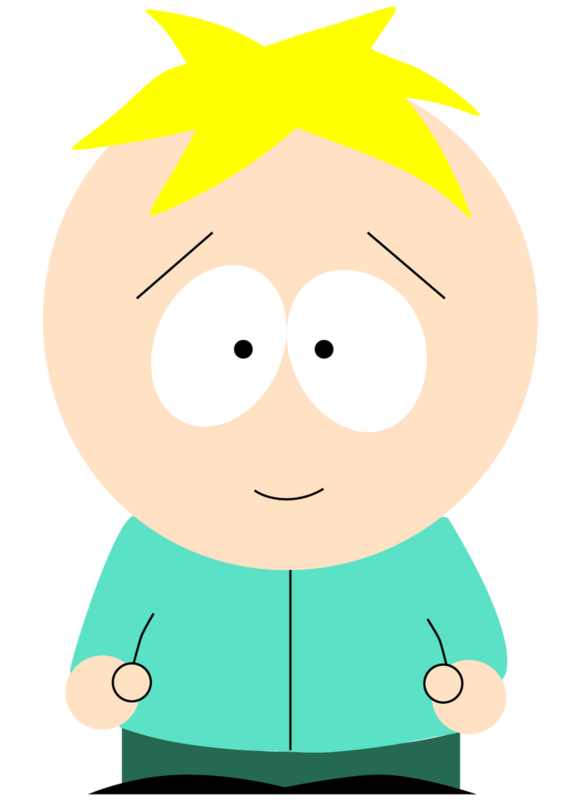 » Perry has a dog named Butters. » Shout-out to the Spanish-speaking dudes who ate Doritos and ice cream behind me the whole show. Weird move, but I kind of respect it. While I wait for Katy Perry to take the stage for her Super Bowl halftime press conference, here are a couple of music-related notes to digest. NOTES ... get it? I hate myself. I went to college in Boston in the early 2000s, a time when the clubs on Lansdowne Street were the places to be on weekend nights. (This is what happens to college kids when the best young rock acts at the time are Creed, Staind and Limp Bizkit.) Anyway, in those clubs pumping "Sandstorm" and Paul Oakenfold, guys who looked just like Gronk were common place. Many were not in a clear, um, mind space either, leading to dangerous situations on the dance floor. Consider this just another warning of what can happen in Arizona if the Patriots win the Super Bowl on Sunday. All dance floors should be declared disaster areas. Gronk attack. While on the subject of Patriots stars and music, here's the Darrelle Revis "Pump-Up" playlist he submitted to NBC before a Sunday night game this year. (I discovered this -- as well as Russell Wilson's playlist -- during my tour of the NBC SNF tour bus on Wednesday. You'll note there's no house music. Music tearing Pats apart!?? NEED NEW SCANDAL. Never underestimate the power of television. A year ago, Elbert "Ickey" Woods was as far off the grid as your grandmother. The former Bengals running back hadn't played an NFL snap since 1991 and didn't procure any of the post-retirement employment that keeps other players in the spotlight after their playing days are done. And then one commercial for an insurance company changed everything. I spotted Woods on Thursday in the Super Bowl Media Center, where he was raising money for the Gridiron Greats Assistance Fund, an organization that paid for both his knee replacements. He was also repping Pork Rind Appreciation Day, which is a thing that I guess exists. I asked Woods how the Geico commercial changed his life. "I knew when it came on during the first Thursday night game, and when it blew up and my guys start calling me and telling me how I was blowing up on social media and just taking off, I knew it was going to be decent," he said. "But I didn't know it was going to be this big. I promise you. I never thought in my wildest dreams that something as simple as doing a commercial in a grocery store and slamming down some cold cuts and yelling a little bit would get me back in the limelight like he has." Was Woods' performance aided by the commercial's director? "No, no, that was Ickey, man," he said, deftly shifting into third person without notice. "He just let me know what he wanted and I pretty much was myself in that." Then I asked for a personal performance of his now famous line. I felt like I was nine and watching the Ickey Shuffle all over again. Poor Tony Romo. Another Super Bowl is upon us, and the closest he can get to the big game is the week of parties that precede kickoff. Then again, life can't be too bad when you're rich, handsome and the quarterback of the Dallas Cowboys. On Wednesday night, the Around The NFL team crossed paths with Romo and his buddies in downtown Phoenix. Above is my soon to be Pulitzer-winning photo of Romo and his flock of dudes (Romo is third from the right in the light-colored shirt). When we passed him, he was smiling and in good spirits. In other words, he's probably moved on from the bogus Dez Bryant non-catch. By the way, Romo is the type of famous person who gets immediate double takes from just about everybody in public. I guess this is what happens when you play *15 primetime games per season for 10 consecutive years.